Sausage FM- less talk, more pork! A month on and we’re still recovering from the rush. A gargantuan week as the UK whizzed along in a mad passionate whirl. Of course I refer to October 25 to 31 which, if you’ve forgotten, was British Sausage Week. Sitting hidden among undulating green hills is the village of Tideswell. Its market square is hugged by stone shops. Tindall’s is stuffed with exquisite home-cooked breads, cakes and pasties, and apron billowing, stood the matriarch, beaming behind her wooden counter. The glass cabinet parades black-pudding, scotch eggs and streaky bacon and in their store, eternally 1952, the doorbell chimes welcomingly and foodstuffs are dispatched in thick brown paper. We love rambling with our dog Roxy about the countryside, and Derbyshire presented abundant opportunity. 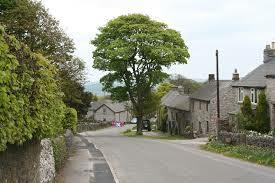 The hamlet of Litton sleeps in an autumnal hollow. It is hushed apart from a sporadic dog bark. Their branches blazing burgundy; trees watch its placid streets, leaves like a Hawaiian lava flow. We swim through the footpaths, our shoes drowning in swirling colour. The village green is pocket-sized, and wooden stocks speak of an unruly past. A boisterous tractor roars past, and lurches to a halt. Bounding down from his cabin, a green-capped farmer nods at us, and ambles into his lunchtime pub. Friday evening in Litton’s Red Lion is among the finest pub experience we’ve had in either hemisphere. Tilly the Airedale traversed the antique entrance, a jovial fire bellowed and homely chairs creaked with rustic tales and belly laughter. We’d been in the bedroom-sized bar but a minute when Harold pumped my paw, thrust a Black Sheep pint at me and told me a yarn about his 1992 Australian holiday; notably punctuated by wearing his pristine Crows tie during a roasting Christmas at Christies Beach. The grimacing Terry doles out the falling-down water in this family-run pub whilst matriarch Joyce steers her kitchen, and insists on autographing her little home-made booklets of home-spun poetry. The titles are flawlessly kitsch: Re-Joyce, Jump for Joyce and the forthcoming Orange Joyce. We bought copies for Kerry’s grandma in Gympie. Retreating bar-side after some tremendous lamb shanks I’m button-holed by Joyce’s husband, thirty years my senior but insisting, Yorkshire style, on calling me Sir. He asks of Adelaide and cricket and St Albans as if these are the most vital things in his world. Meanwhile Kerry chats with the rugby-loving couple from Portsmouth who is also commemorating their second anniversary. Afterwards we retreat to our cottage and its popping, cracking fire. Perfect. York is staggeringly handsome and we liked spending our anniversary there ambling through its abbey, across the River Ouse (why it belongs to all of us!) and atop the Roman Wall, which smartly entraps the city. The Minster is a towering, honeyed church, and humbling to behold. However we didn’t venture in as the six pound fifty ‘compulsory donation’ appeared a little, well, un-Christian. Gladly, back at home St Albans Abbey demands no fixed fee but visitors may part with their pounds through a credit card machine, positioned conveniently in the bookstall at the cathedra’s entrance. Steering our Fiat Punto at the appealingly tranquil Eyam proved fascinating for we learnt that in 1665 it lost much of its population. Shortly after unwrapping a package of cloth from London a local complained of feeling poorly. He was soon dead as the Plague again lowered its cold noose. Panicking, the minister urged his brethren to quarantine themselves in their houses, and only collect provisions from designated places, and mercifully this self-sacrifice partly confined the disease. Strolling the 4WD-ed boulevards we read solemn plaques describing the demise of families of eight in as many days. Hundreds were claimed, but today it’s tricky to picture Eyam suffering any modern disaster beyond the Agricultural Society cancelling, due to heartless disinterest, the Strawberry and Fig Conserve Competition (Open Section). 2017 will be the twentieth year of British Sausage Week. Check the website for details, and remember to tune in to Sausage FM: less talk, more pork! a vague dog bark and whispering breeze. and carpet like painted snow. vivid like a sepia photograph. then it grumbles to a stop.